Livzon, part of the Joincare Group, has 9 manufacturing factories across south China, of these 4 focuses on bulk medicines and intermediates manufacture, 4 on drug preparation and 1 on Diagnostic reagent and equipment products. This gives the company a broad capability, including integrated supply chains for cephalosporins (both bulk medicines and intermediates factory and finished powder for injection workshops are based in Zhuhai), gonadotropic hormones, along with an extensive range of antibiotics, gastrointestinal, cardio-cerebral-vascular and other products. The factory is being developed rapidly in Phases, the first two workshops for sterile hormone and non-hormone products are in production. This line, as an example, is a full RABS line imported from IMA and BOSCH, will similarly high quality supporting autoclaves for component sterilization. The second phase includes, a Solids workshop, and a dedicated and self supporting sterile Cephalosporin workshop, along with an automated highrise narrow aisle warehouse, and will be completed and ready for production in 2014. The solids workshop is based on the innovative “Lhoest Concepts”, using a 3 level vertical design and incorporating close system processing technology, providing high levels of efficiency and GMP. While selection of equipment for solids workshop is not quite completed it will be of the highest standard from major international suppliers. 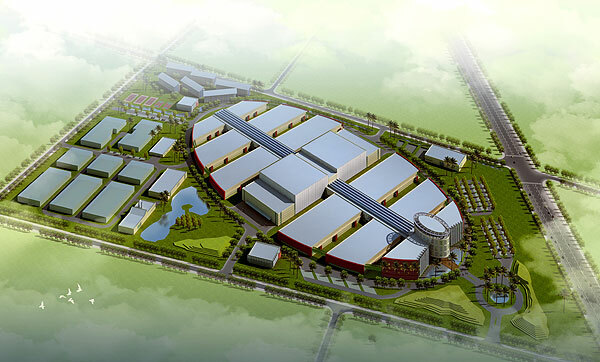 This state of the art factory, based strategically on the south China coast next to Hong Kong/Macau, will provide an international standard CGMP facility. Additionally, the high quality technical facilities are supported by equally high quality systems and management processes. Livzon is currently upgrading its ERP system to Oracle, has launched a leansigma based improvement programme building on an extensive history of TPM and 5S. Livzon is, and will rapidly enhance its capability to be, a high quality partner for pharmaceutical supply.